Three-piece Suite of Louis Vuitton Luggage, France, late 20th century, all with monogramed "LV" fabric, leather trim, and handles: a garment bag with two hangers, one stamped Louis Vuitton Paris, leather label stamped "884 VX," lg. 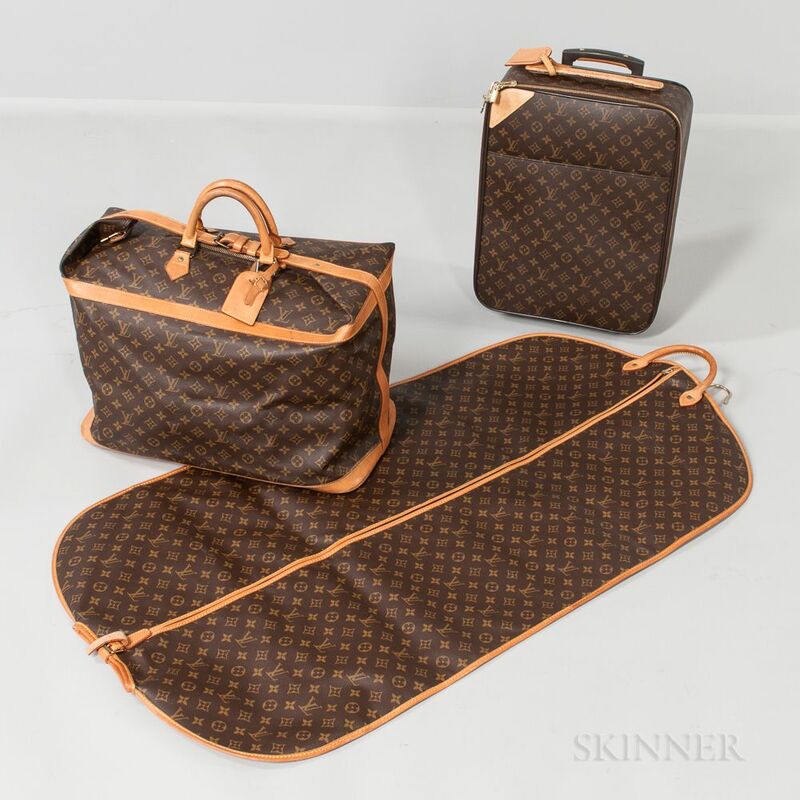 48; a weekend duffel bag with shoulder strap; and a carry-on soft-side case with casters, leather label stamped "Louis Vuitton Paris Made in France," 7 1/2 x 14 x 19 in. ; with a small sponge bag of different manufacture containing two short leather straps, five luggage handle covers, various keys.